Brain teasers come in all shapes and sizes, but there’s one particular brand of brain teaser that fits in your pocket. 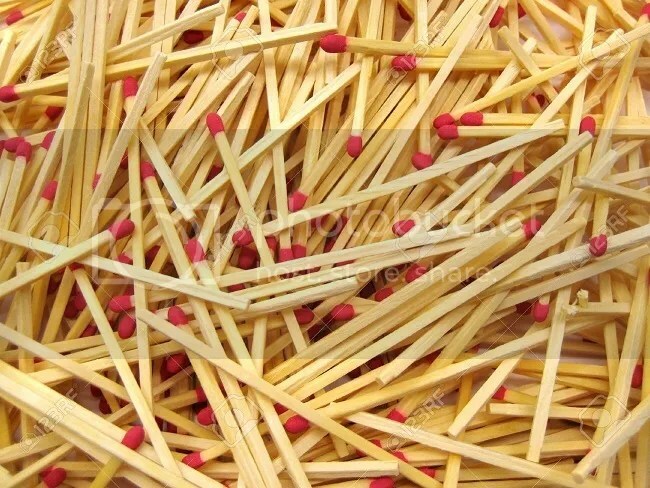 Today we’re talking about matchstick puzzles (or toothpick puzzles). Matches as we know them (relying on friction to ignite, rather than dipping or crushing) were invented in 1826 by English chemist John Walker, and in the decades that followed, numerous improvements were made, especially in terms of safety and ease of use. Matchsticks soon grew ubiquitous and match companies started putting little puzzles on their boxes. And the matchstick puzzle was born. So, for the uninitiated, what are matchstick puzzles? These are rearrangement or transformation puzzles, where you’re given a certain shape (laid out in matchsticks, toothpicks, straws, pencils, or anything else of equal length), and you have to move the items into another shape or configuration. Sometimes, it’s simply about placing the matchsticks economically, but other times, you have to get crafty and think outside the box to complete your task. 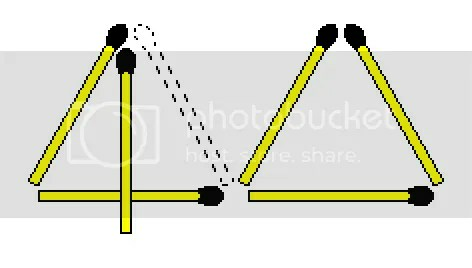 You have two triangles formed from six matchsticks. Move one matchstick to make four triangles. Now, you could easily use all of these matchsticks to make four triangles, but that would involve moving more than one of them. So clearly there’s something else at work here if you only need to move one to solve the puzzle. That something, in this case, is a little visual trickery. 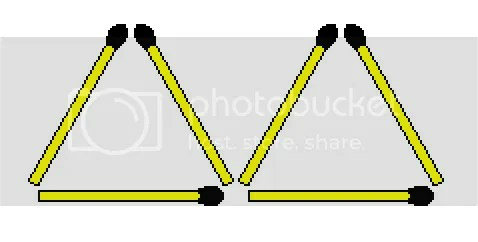 As you can see, you turn one triangle into a numeral four, making the matchsticks literally read out “4 triangle.” Sneaky sneaky. A curious variation, though, applies the same rules to mathematical formulas laid out in matchstick form. Now, the big difference between these mathematical ones and the shape ones mentioned above, as far as I’ve found, is that the math ones are far more alternate prone. You can move one match to make the 6 a 0, so that 0+4=4. You can move one match from the 6 to the second 4 to make the 6 a 5 and the 4 a 9, so that 5+4=9. You can move one match from the plus sign to the 6 to make the plus sign a minus sign and the 6 an 8, so that 8-4=4. 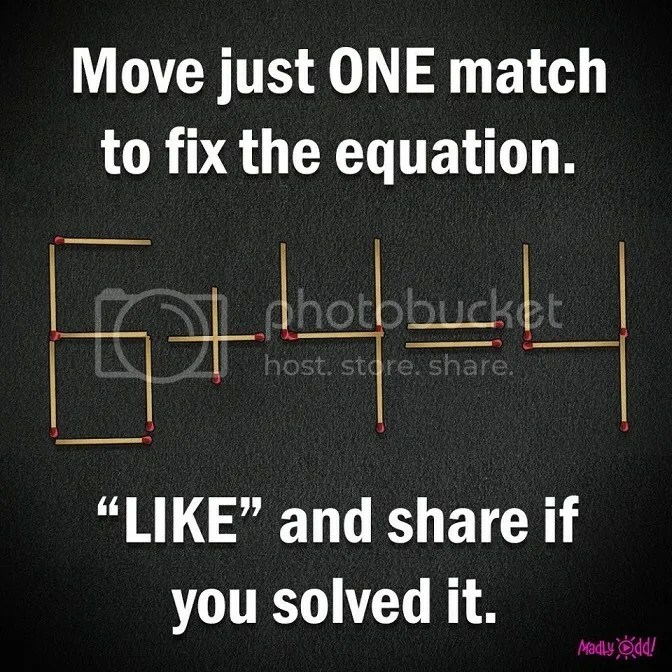 You can move one match from the plus sign to the equal sign to make the plus sign a minus sign and the equal sign a doesn’t-equal sign, so that 6-4 does not equal 4. As you can see, with matchstick puzzles, the possibilities are endless and the building blocks — whether matches, toothpicks, Q-Tips, or straws — are easily accessible. Using six matchsticks of equal length, create four identical, equilateral triangles. There’s no need for snapping, burning, or otherwise altering the matchsticks. 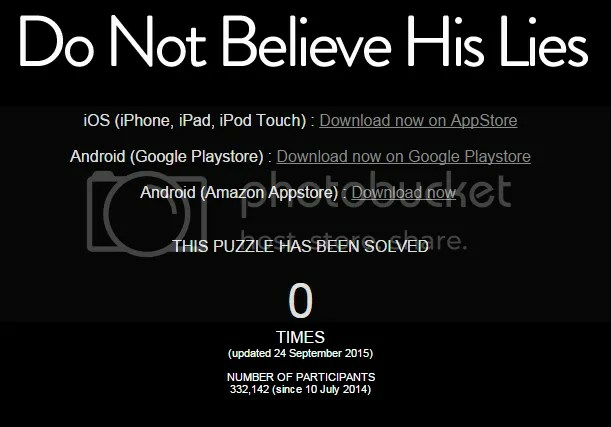 The spooky app no one has solved! Do Not Believe His Lies. It’s the name of an app that has baffled solvers for more than a year with increasingly complex riddles, puzzles, and challenges. 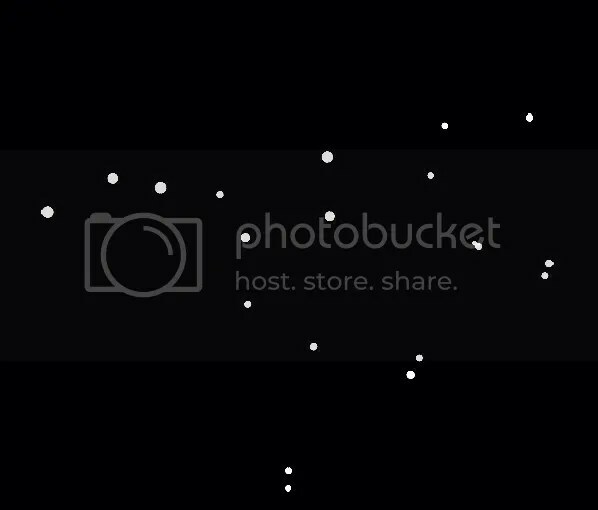 It starts out simply, with the messages “We were expecting you,” “Your journey begins now,” “We await you on the other side,” and “Good luck” in simple white text on an otherwise pitch black screen. From the very start, it’s an evocative presentation. It sets the mood immediately. Anagramming, braille, music theory, cryptography, chemistry… as the puzzles increase in difficulty and complexity, they require an ever-growing skill set, challenging users in impressive fashion. A dedicated community of solvers has come together to tackle the challenge of Do Not Believe His Lies, and they have fought, clawed, collaborated, and ingeniously solved their way to Puzzle #48, which they believe they’ve cracked, but they’re unsure of where to proceed from here. The newest activity we have noticed has been the “Puzzle Solved” counter on the official DNBHL website. It’s not automatically updated, so we know that the Dev has been lurking around still. But whether it’s just a sign of life, or an unintentional “push” to let us know we have everything we need to progress further…none can say. He goes on to discuss some of the lingering clues they’ve uncovered, as well as the theory that they’ll have to leave “the app and the old puzzles behind,” meaning the game will venture into the real world and involve physical locations! So…until we get something a little better to work with, I think we’re all just taking a break…waiting for a Eureka moment to strike. Don’t get too disheartened though…I’m sure all the friends you’ve made on here will jump right back in to the fray as soon as things get busy again. A pickle of a puzzler! A little touch of absurdity never hurts when it comes to a good logic problem or brain teaser. There’s the classic river-crossing puzzle (with either a fox, a goose, and a bag of beans and or a wolf, a goat, and a cabbage) that challenges you to get all three across without one eating one of the others, but it never explains why you have a wolf or a fox in the first place! We never really question why we need to know the weights of castaways or why knowing the color of your hat might save your life; we just accept the parameters and forge onward. Some brain teasers, curiously enough, seem intentionally nonsensical by design. Many claim that Lewis Carroll’s famous Alice in Wonderland riddle “Why is a raven like a writing-desk?” was created without a solution. Of course, that hasn’t stopped many (myself included) from posing solutions to the riddle anyway. You are given a series of statements which may seem to you more or less absurd. But, on the assumption that these statements are factually correct, what conclusion (if any) can be drawn? 1. Pickled walnuts are always provided at Professor Piltdown’s parties. 3. All armadillos can speak the Basque dialect. 4. No animal can be registered as a philatelist who does not carry a collapsible umbrella. 5. Any animal that can speak Basque is eligible for the Tintinnabulum Club. 6. Only animals that are registered philatelists are invited to Professor Piltdown’s parties. 7. All animals eligible for the Tintinnabulum Club prefer Mozart to Beethoven. 8. The only animals that enjoy pickled walnuts are those who get them at Professor Piltdown’s. 9. Only animals that take taxis in Bond Street carry collapsible umbrellas. So, what conclusion can be drawn from these statements? Armadillos do not enjoy pickled walnuts! How do I know this for sure? Allow me to walk you through my deductive process. We know that all armadillos speak Basque, according to statement 3. Therefore, according to statement 5, armadillos are eligible for the Tintinnabulum Club. Now, according to statement 7, armadillos prefer Mozart to Beethoven. But, in statement 2, we’re told that no animal that does not prefer Beethoven to Mozart ever takes a taxi in Bond Street, which means that armadillos do NOT take taxis in Bond Street. Therefore, according to statement 9, armadillos do not carry collapsible umbrellas, which also disqualifies them from being registered as philatelists, according to statement 4. And since only registered philatelists are invited to Professor Piltdown’s parties (according to statement 6), armadillos are not invited to the Professor’s parties. Finally, statement 8 tells us that the only animals that enjoy pickled walnuts are those who get them at Professor Piltdown’s, which means armadillos do not enjoy pickled walnuts! Honestly, I didn’t find this brain teaser particularly difficult because you can find those middle links very quickly, and by linking more and more statements, you eventually find the two ends — armadillos and pickled walnuts — and your conclusion is waiting for you. Nonetheless, this is a terrific exercise in finding order in what at first appears to be chaos. It’s what puzzlers do: we make sense of the universe, one puzzle at a time. I’m always on the lookout for new and different puzzle styles to discuss here, because there’s a seemingly endless supply of puzzly inventiveness in the world, and I endeavor to share as much of it as possible with my fellow PuzzleNationers. A few days ago, I was reminded of a brain teaser variation that’s a little different from our usual fare, and I thought I’d put it in the spotlight. Today, we’re talking about guided lateral thinking puzzles! 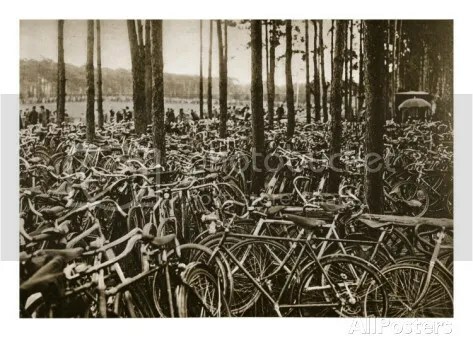 A man is found murdered on the floor with 53 bicycles scattered around the room. How did he die? Now, this may sound like a particularly violent end at a local bike shop, but the lateral thinkers and brain teaser proficient types out there have probably already sussed out the true answer. The man cheated at cards and was killed for it. Bicycle is a famous brand of playing cards, and with 52 cards in your standard deck, 53 implies cheating. That’s a pretty simple one. 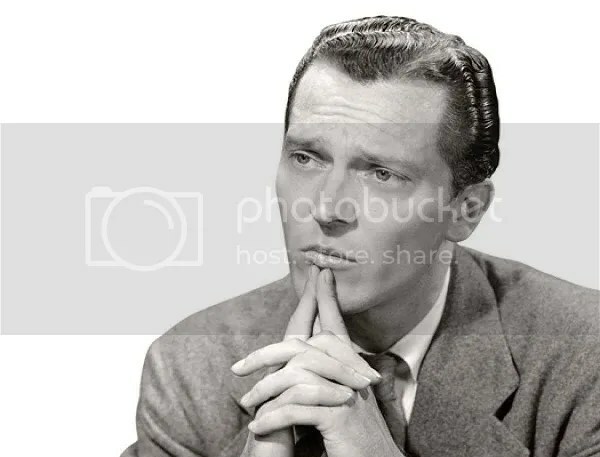 The difference between regular brain teasers like that one and guided lateral thinking puzzles is that a guided lateral thinking puzzle requires two people: one to ask questions in the hopes of solving it, and the other to know the solution and answer the other player’s questions with only yes or no responses. The scenarios are often more involved than your usual brain teaser, but you’re only given a brief story to start with. These are not rigid brain teasers like the seesaw one we tackled earlier this year. These puzzles depend on your ability to narrow down the possibilities with strategically worded questions. Ann, Ben, and Chris are siblings who were conceived on the same day. 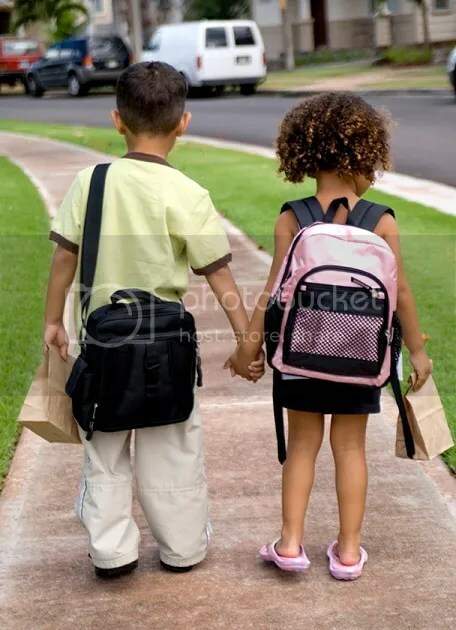 This year, Ann will be attending third grade while Ben and Chris attend kindergarten. Why? While you could try to come up with a solution with just this information, guided lateral thinking puzzles encourage you to talk through your suspicions as you ask questions and uncover the truth. But maybe you have a better theory. Were they conceived by different people? Was it the same day, but different years? Posing these questions to your partner in puzzly crime could help you find the answer. The folks at I09 posted a link to six guided lateral thinking puzzles (including the Ann/Ben/Chris one I mentioned above). Give it a listen and try cracking these puzzles alongside the podcasters! 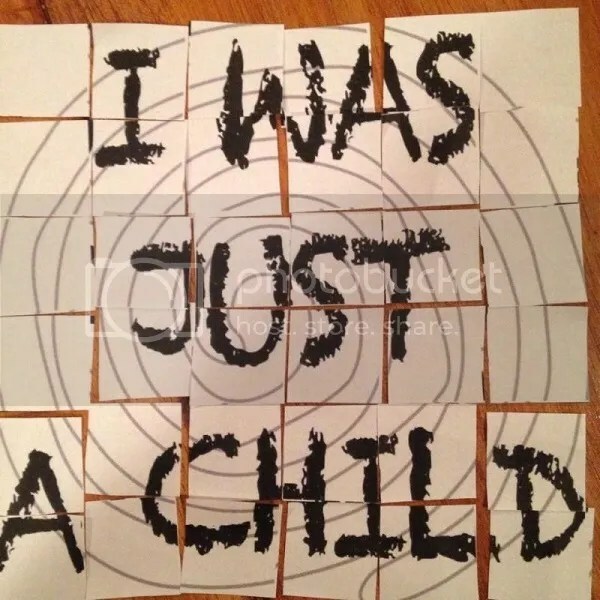 And let me know how you did! Did you solve any of them right away? Did any of them thoroughly stump you? And would you like to see more puzzles like this on PuzzleNation Blog in the future? The Perils of Puzzling: Alternate solutions! 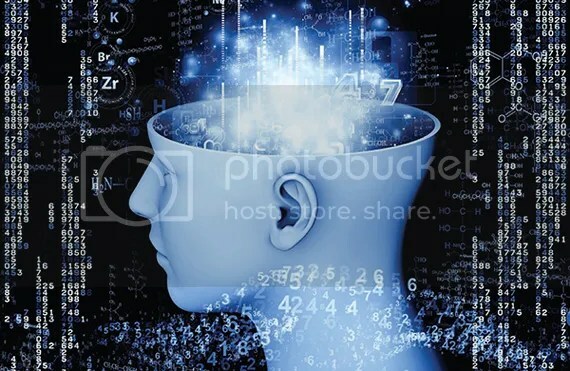 The science, fantasy, and science fiction website io9 has a marvelous weekly feature run by Robbie Gonzalez, wherein they tackle brain teasers and riddles both new and old. I’ve explored several of them here on PuzzleNation Blog, most notably the 100 Men in Hats puzzle, which expanded on the Men in Hats puzzle concept from one of our earliest posts. But one of their latest riddles provided a valuable example of how crucial test-solving and crowd-sourcing can be to a puzzle’s success. 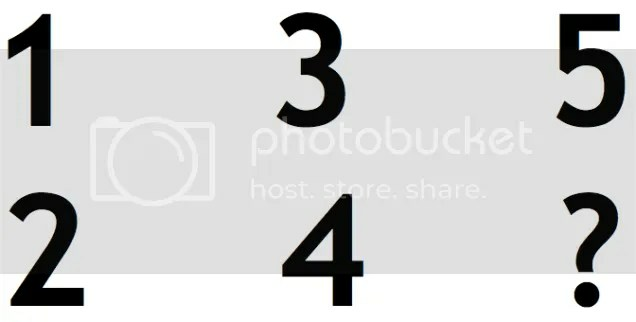 The idea was simple enough: look at the numbers below, and determine what number should take the place of the question mark. The only guideline? The answer was NOT six. I posted this riddle on our Facebook page on Monday and shared it with fellow editors at the PuzzleNation office, and got all sorts of answers in return. One solver came up with 5 as the answer, positing that the vertical numbers formed fractions. So, with 1/2 and then 3/4 as the next number, the pattern would be adding 1/4. Adding 1/4 to 3/4 equals 1, and 5/5 equals 1. There were other solutions that also yielded 5 as an answer, like doing what my friend called a zigzag equation, adding 1 from the top to 4 from the bottom to get 5 on the top as the answer, and then reversing it by adding 2 from the bottom to 3 from the top, getting 5 on the bottom as the missing answer. A second solver came up with 3 as the answer, adding the top row to equal 9, and then trying to do the same with the bottom row. As you can see, there were all sorts of mathematical solutions. When you’re told to ignore the most obvious solution, your mind can create some truly innovative ways of reimagining the information available. 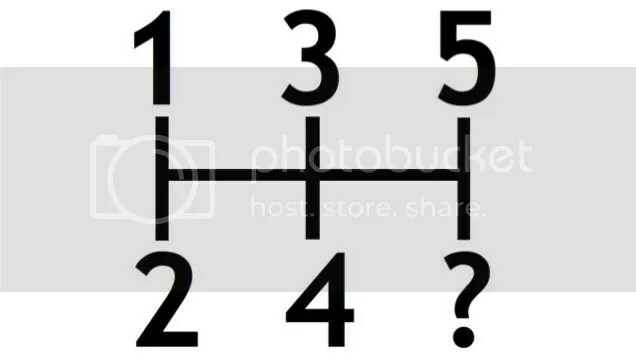 Several solvers thought outside the box and came up with R, relating the numbers by their positions on a gearshift knob instead of mathematically. As it turns out, this was the solution the puzzle’s creator initially intended, only realizing later that the puzzle had many possible solutions. In his own words: The riddle was too open-ended. Whether you interpreted it as a mathematical puzzle, or an automotive design puzzle, it was poorly posed, and that’s on me. Puzzle-posing is an art in and of itself, and it’s easy to mess up. For a solution to be satisfying, the person posing the puzzle needs to provide enough information that the puzzle is unambiguously solvable, but not so much that it gives too much away. Now, as a puzzler myself, I can absolutely empathize with Mr. Gonzalez here. There are plenty of times I’ve created a puzzle or a brain teaser and assumed that everyone would follow the same path I envisioned, considering the solution if not obvious, then at least reproduceable. 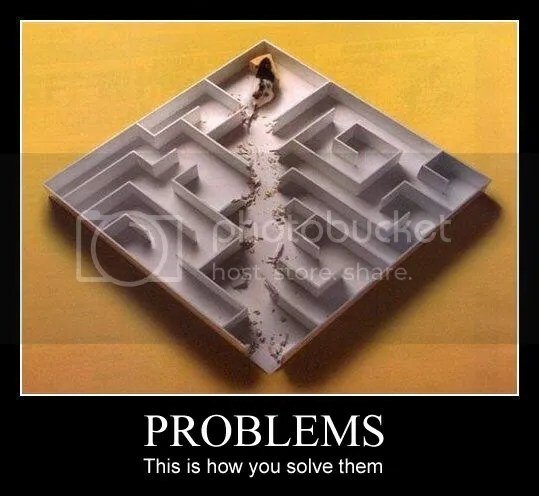 But solvers can always surprise you by finding alternate routes to the answer or utilizing a different way of thinking that ends with a second, but still valid solution. So after a few stumbles and missteps of my own in the past that were similar to the one in today’s puzzle, I now make sure to have another set of eyes on my brain teasers, either during the creation process or as a test-solver afterward. A second set of eyes can be absolutely invaluable in helping you spot possible alternate solutions. Late last week, news went out that actor, sci-fi luminary, and respected advocate for science Leonard Nimoy had passed away. As a fan of much of his work — not just Star Trek, but Fringe, In Search Of…, and numerous other shows made better by his presence — I was sad to say goodbye to such a terrific and influential figure. And so, I thought it was only appropriate to honor him in true PuzzleNation fashion: with a Star Trek-themed brain teaser. This puzzle was created by a University of Kentucky mathematician and puzzler named Raphael Finkel, and came to my attention thanks to a post on IO9.com. It’s a logic puzzle that will really test your deduction skills, perfect to honor pop culture’s most famous Vulcan and their great tradition of logic and reason. Grobly Grizik is planning to write a novel fashioned after Star Trek: The Next Generation. In this novel, six of the crew members compete both at Fizzbin and at Tri-Dimensional chess. Each crew member gets two independent rankings for proficiency at these games (one ranking for each game), with “1” ranked lowest and “6” highest. Every crew member has a personal hero among the crew, and every crew member is afraid of some crew member. Everyone is the hero of somebody, and everyone is feared by somebody. Nobody either fears him/herself nor counts him/herself as a hero. Nobody fears his/her own hero. Geordi ranks 2 at Tri-D Chess. Picard ranks two positions behind Troi at Fizzbin. Troi is feared by the person Geordi fears. Worf’s hero ranks 3 times lower at Tri-D Chess than the crew member who is best at Fizzbin. 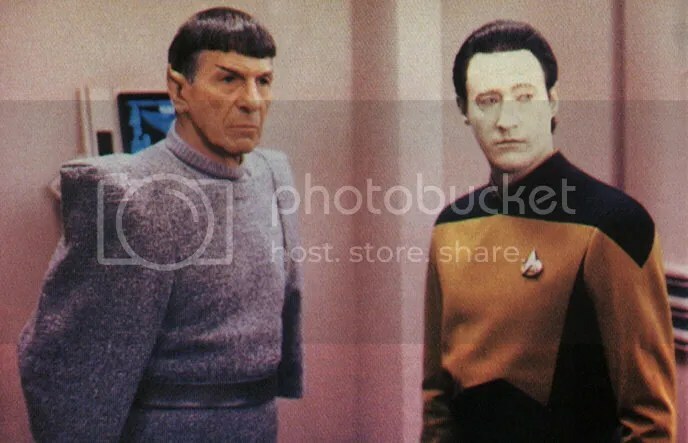 Data’s hero is not Geordi. Data is the hero of Riker’s hero. The person who is worst at Fizzbin is better than Troi at Tri-D Chess. The person ranked number 3 at Tri-D Chess is ranked 4 positions higher than Data at Fizzbin. Riker is feared by the person Picard fears and is the hero of Worf’s hero. Riker is ranked 2 lower at Tri-D Chess than the crew member ranked 2 at Fizzbin. Let us know if you solve this diabolical puzzle. 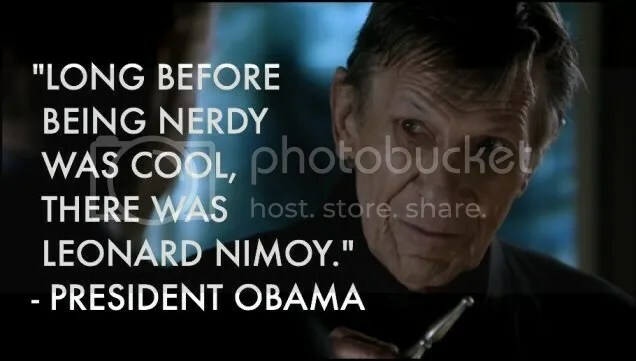 And please share your favorite Nimoy roles and memories. He was a remarkable talent and will be missed.